Home » Casino News » Is NetEnt’s Latest a Copy of a Microgaming Slot? Is NetEnt’s Latest a Copy of a Microgaming Slot? NetEnt has just released their latest game, a slot called “Universal Monsters™: The Phantom Curse”. Just from the name, you probably can’t tell, but as soon as you see the imagery, it’s very clear that this game is based around Andrew Lloyd Webber’s hit musical The Phantom of the Opera. What’s the big deal? 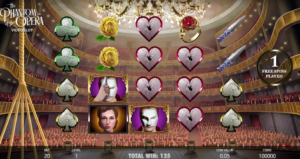 Nothing really, just that NetEnt’s biggest rival in the online slots market, Microgaming, came out with a Phantom of the Opera-themed slot just two months prior. Of course, as long as no copyright laws are being infringed, there’s nothing much Microgaming can do about NetEnt or any other company copying their release ideas. Besides, it’s not likely that Microgaming’s versions will be topped. As far as The Phantom of the Opera is concerned, it looks like most slots fans are leaning towards the Microgaming version as their favorite anyway. A snapshot of the main reels screen in NetEnt’s new Universal Monsters: The Phantom of the Opera slot. As long as there’s no proof that NetEnt actually copied Microgaming’s theme, we’re going to downplay the whole thing. Everyone here at CCO is a NetEnt fan. Their games are always beautifully designed, very original, and especially fun to play on tablet devices. The Phantom of the Opera has become a modern classic. It makes sense that there will be multiple versions of the story across all types of media, online slot games included. The more relevant question is which is the better slot? It does seem that amongst players – well, at least those that take the time reviewing online slots – that Microgaming’s version is considered a slightly better game overall. To be honest, after trying out NetEnt’s game, we can say that it’s not as clear as the “internet” makes it out to be. Both are excellent slot games, just as what one might expect. The main difference is actually the source of the games’ themes. The Microgaming version is based on the 2004 film while NetEnt took their inspiration from the 1920s film produced by Universal Studios, adding it their online slots series “Universal Monsters”. With the games having the same RTP (96%), and a number of similar classic features, the differences lie mostly in the look-and-feel. The Microgaming slot seems a bit more modern and chic since it uses graphics from the quite recent movie. The NetEnt game feels a bit more retro, but that’s not necessarily a bad thing at all. The Mirror Bonus Round in NetEnt’s new Phantom of the Opera slot game. NetEnt’s Universal Monsters: The Phantom of the Opera Slot is a 5×4 reel game with 40 paylines. The reels appear before a view from the stage of the opera house itself. It probably goes without saying that the music used in the game is taken from the original score, and when combined with very cool footage, really sets the eerie and horror-esque mood of the story. The symbols on the reels include the classic playing cards along with the main characters in the musical, a yellow rose, a ring, a white pearl, a mirror, and a dagger. The main characters act as the wild symbols. There are three wilds and when re-spins are triggered by the Phantom himself, the wild become sticky. The scatters appear in the form of a chandelier. When the Phantom cuts the ropes, the free spins are triggered, turning a tragedy into a miracle! 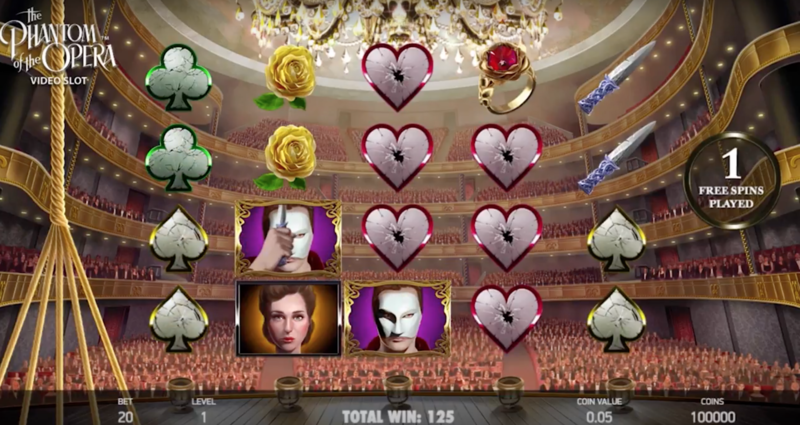 In the bonus round, players can earn credits by choosing a number of roses. 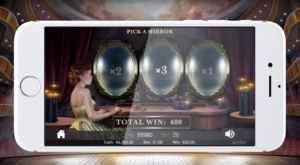 And, there’s also a “Mirror Bonus” which basically lets you win a 1, 2 or 3 times multiplier of the bet amount that triggered the bonus. It’s also worth noting that this game offers a maximum win amount of 16,000 coins which is a pretty serious amount. As with all NetEnt games, Universal Monsters: The Phantom of the Opera is great to play on any device with any operating system. All in all, even if the idea was perhaps sparked by Microgaming, the two games don’t really look that much alike and both hold their own when it comes to features. Why don’t you try out both and tell us what you think?